A DRK nurse wore such an armband and the same apron. I remember a nurse doll made in Hong Kong 20 years ago in a Toysrus nearby. The doll was named Elsa or something, wore the smock, I think. A shop sells copies of DRK armband. 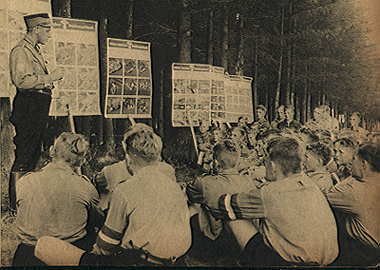 Our belonged labor union always ordered us wearing the union's armband on demanding wage up about a month. I had not liked wearing an armband. 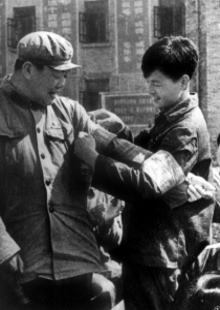 I remember armbands worn by notorious Kempei in Japan, Nazis in Germany, and Red guard ( 紅衛兵 ) in China. 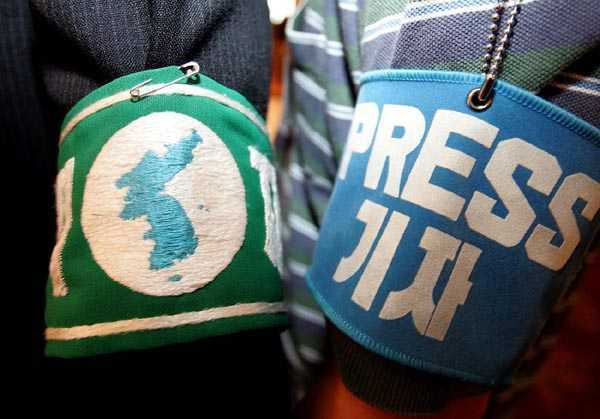 The press persons of Japan wear the armbands even now as the riot policemen ( 機動隊 ) of Japan did. 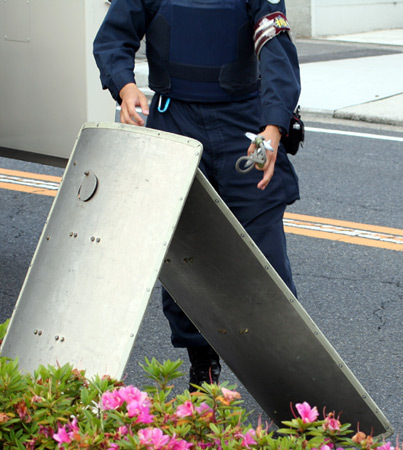 Japanese modern police likes the word 'kidou' ( 機動 ), internal police ( 特高 ) and Kempei ( 憲兵 ) competed one another. Originally IJN named her air strike fleet kidoubutai ( 機動部隊 ). Asahi Shimbun declares that crews wear armbands. I appreciate their courtesy extended to uploaded images.